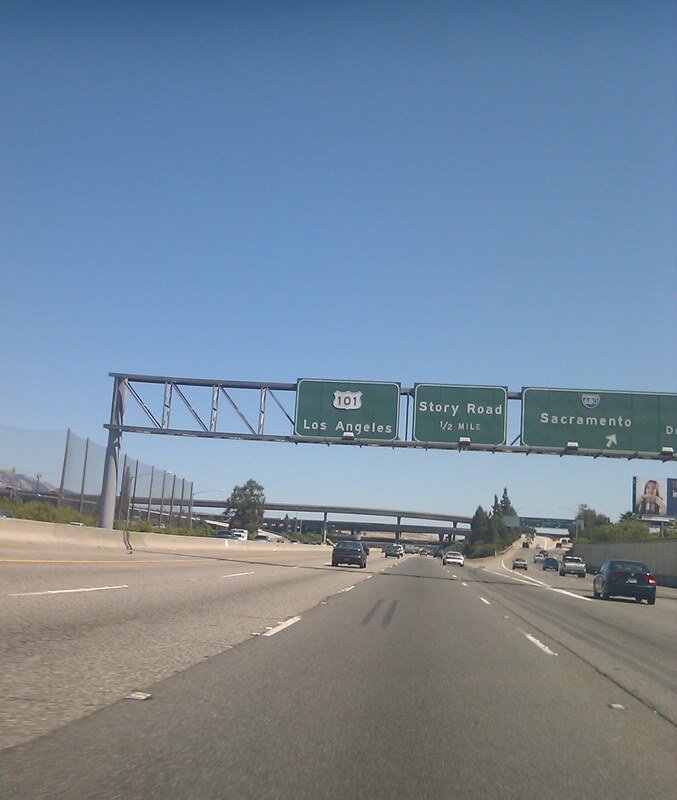 A recent summons from those-who-dictate-the-product-portfolio over in California, meant a selected few of us made a long overdue trip out west to Silicon Valley. It's not the first time, and I'm sure it won't be the last, but the agenda remains roughly the same. Training, feedback, networking and some long days trying to break the newest software releases. Oh, and sometimes a bit of fun too. Even though flying seems to be a way of life at the moment, it is not one of my favourite pastimes. Nevertheless, I've learnt (am learning) to make the most of it. Provided there is time, I've gotten into the habit of asking to meet the pilots before departure, finding out about our routing and weather etc. It satisfies my fascination with flying and so far, every captain has been more than willing to chat. On this occasion they even pulled down the 3rd seat for me in the cockpit of the 777 we were flying. 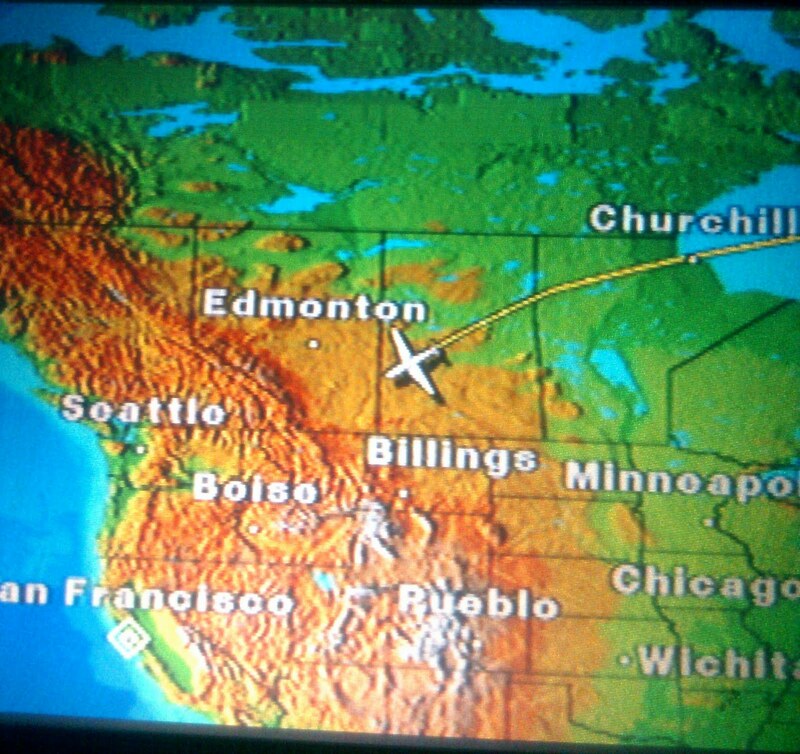 We left Heathrow on United 955, a 777 without the much needed cabin upgrades. I had been closely following the progress of the United cabin upgrades, but alas only one had been completed, and we were not on it. For those who are as obsessed as me interested, this forum thread offers the latest news. Still a nice seat is a nice seat and the 11 hour crossing was uneventful (the best way I find) and was helped by several glasses of wine and the film, Law Abiding Citizen (7/10). 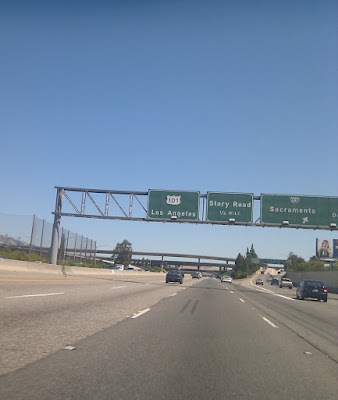 Immigration and picking up the car were relatively painless, but my hopes of using Google Navigation on my Android "superphone" to find the hotel in San Jose were dashed when my AT&T data connection failed me. So whilst waiting in line I made the decision to add the Avis Sat Nav to my rental car package. Of course, once rented, paid and with keys in hand, AT&T decided it would work just fine. Instead of handing back the Sat Nav, I'm justifying this to myself by claiming the cost of the rented Sat Nav is less than the roaming data charges I would have incurred! Probably. I find it's always a really good idea to drive 50 miles (on the wrong side of the road), after an 11 hour flight when your body thinks it's 10pm and it's actually only 2pm. Today was no different. Actually, I really like driving in America, in an American car. It's so easy when you have no gears, or corners to contend with, just a pedal to go faster, and one to go slower and the ride itself is so "squishy" that you can't help but relax. It's also kind of liberating and frustrating at the same time. You know that you could drive, uninterrupted for thousands of miles if you wanted to, yet knowing that after just a couple of hundred, you'd be mindless with boredom and cursing the very same automatic washing machine motor that they use as engines in US cars. Seriously, if you wanted an example of prime USA excess, it's using a 2.5 litre engine (such as the one in my Nissan Altima) and then only managing to get a 0-60 time of 8 seconds out of it. Looks 9/10, Goes 5/10. Looks like a 350Z right? Sure doesn't go like one! This picture by the way, is not taken by me. Can you tell? The Residence Inn, San Jose South is another old friend. It's nothing special, but every time I come here, nothing has changed, it still has the same distinct smell (weird I know but not nasty) and the rooms are big enough to accommodate a lounge, separate bedroom/bathroom and a kitchen complete with microwave and the noisiest fridges known to man. Turn the Fridge down to minimum or it will interrupt your already delicate, jet lagged, sleep every single time it takes off. Do the same with the air-conditioning. It will dry you out and wake you up relentlessly. Walk/Run to the supermarket across the road (I've never been done for Jaywalking, but at 3 lanes each direction and no pedestrian crossing, it's only a matter of time). Get some basics to satisfy your jet-lag induced 3am munchies. Oh, and some water that isn't Dasani. The hotel may as well be sponsored by Coke. Buy or bring with you a plug-in night light. The kind that turns on automatically when it senses movement is good, then plug it in near the bathroom. Stay with me here...What with your body thinking it is somewhere else, it is almost guaranteed that you will need to use the smallest room during your night. Maybe you have a small bladder too, or another medical condition, either way, believe me when I tell you that you will not want to be turning on the bathroom light for such an event. For starters, the light will blind you, the fan noise will deafen you and the possibility of getting back to sleep is remote. Just some practical advice for the regular Residence Inn Traveller! We took advantage of the good weather and our free Sunday to do some shopping and drive aimlessly up and down Highway 1...mainly because it was Highway 1, and we could. 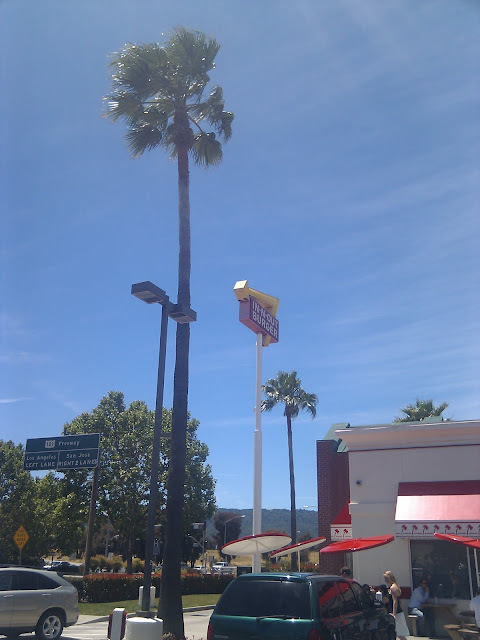 Monterey was our ultimate destination, but I persuaded the guys to stop at In-N-Out Burger because those are good burgers, Walter. And they were. If you ever get the chance, even if the queue/line is out the door as it was for us, join it and experience the In-N-Out goodness! 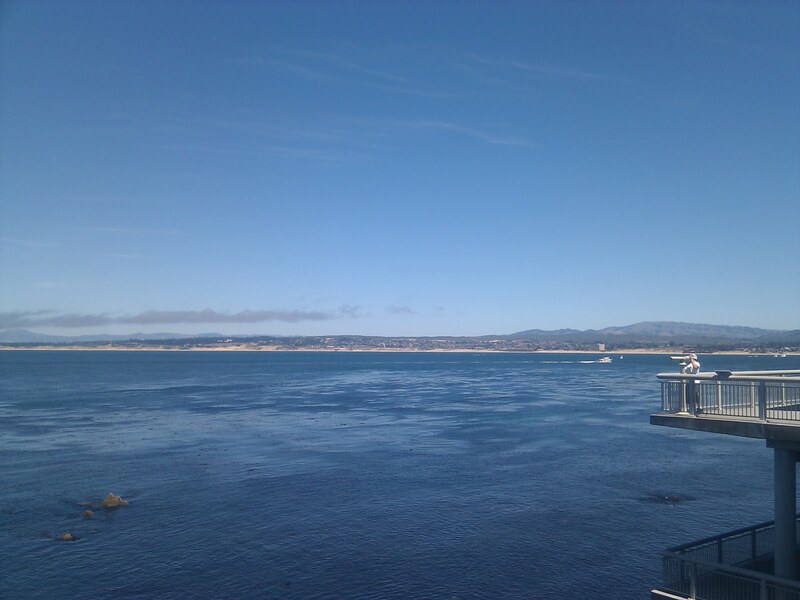 Monterey itself was touristy and lively, a quite enjoyable place to be wandering around in the sun. We found ourselves in the Aquarium because we wanted to see sharks. We were disappointed. Although the aquarium was amusing, 4 guys looking to see sharks, were never going to be overly impressed with life-size seahorses and fluorescent jelly fish. Still, it was a distraction and the visitors with kids seemed to be having a whale of a time...! 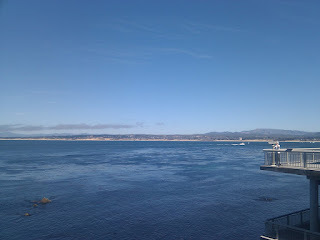 I phoned home from a balcony overlooking the Pacific with a bunch of noisy Sea Lions in the background. It could have been a worse afternoon. The event itself, the reason we were there is not something I will talk about here. Suffice to say that change is coming to the WLAN product marketplace, and if the alpha code we were using is anything to go by, our customers have something to look forward to, and our sales force have a great deal of learning to do! I wonder who will helping with that. The remainder of the week saw us gather at the hotel for the obligatory BBQ, and several meals at local fast food restaurants. Eating in the US is, not surprisingly, quite high on the agenda of many people. In fact it seems to me that most adverts on US television are about Food or Medication. The few in-between are mostly about cars or trucks where the main selling point is fuel economy! For example, an ad I saw whilst over there proclaims the newest Ford truck manages a whopping 30mpg, and that is supposed to impress us. Of course, the law according to Murphy, dictated that the morning I was due to check-out and return home, was the first morning of the week where my alarm clock actually woke me. Previous to this, every morning, I found myself in the rather unique position (for me at least) of waking early, feeling human, and having time to do something before getting ready for work. I suppose if there could be any, it is one of the advantages of Jet Lag. My flight wasn't until the evening, so the day was spent as usual in the office. The drive to the airport, dropping off the car and dumping the luggage all went very smoothly. I even managed to have a shower and something to eat before boarding. This was a more important step than usual - I knew I absolutely had to sleep on the flight home because of the weekend I had ahead of me. Just so you know, I never get any meaningful sleep on planes, it's just not something that I am capable of. That is, without prescription medication! 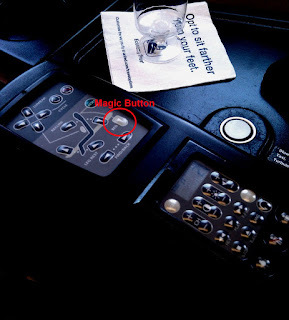 Unusually for me, I refused dinner on board, and at the first extinguishing of the seat belt sign, pushed the magic button to make me a bed! And it's lucky I did try to sleep because it wasn't long before that seat belt sign came back on, and the cabin crew were asked to take their seats too. That's always a bad sign. 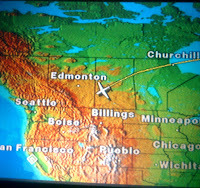 The captain kept us well informed though, even if his information was what a rough ride we were expecting and that all the planes around us were also getting a raw deal. Thankfully, I was semi-conscious at this point, so didn't really care too much, but the disco lights above our heads played on until well after dawn. Coming into Heathrow is always a pleasure. This occasion was no different. Although we were well ahead of schedule - presumably because of those favorable winds that also helped to spill my water - we joined the stack and waited for a space. It was the same story on the ground, our gate was occupied still, and so our 45 minute advantage was further eroded. Normally, it wouldn't matter, I had a few hours to kill before my next flight to Amsterdam (this time for a stag weekend, and the reason I really needed that sleep) but it was the arrivals lounge that closed at 2pm that made me anxious to disembark. Still, I need not have bothered making a dash for it, with a look of surprise on their faces, the arrivals lounge staff rather nervously informed me that United did not actually expect anyone arriving on my flight to make it before they closed, so I couldn't come in. Nice. Needless to say, I sent a sweaty email to United while I waited for KLM to take me to Amsterdam. There won't be a Trip Report for Amsterdam! Back in 2009, British Telecom announced a number of UK locations that would be getting their new "super-fast" broadband. The village where I live happened to be one of them, and it is due to come into service at the end of the summer. Well, I'm pretending not to look surprised, but it appears they are on target to deliver on that promise. 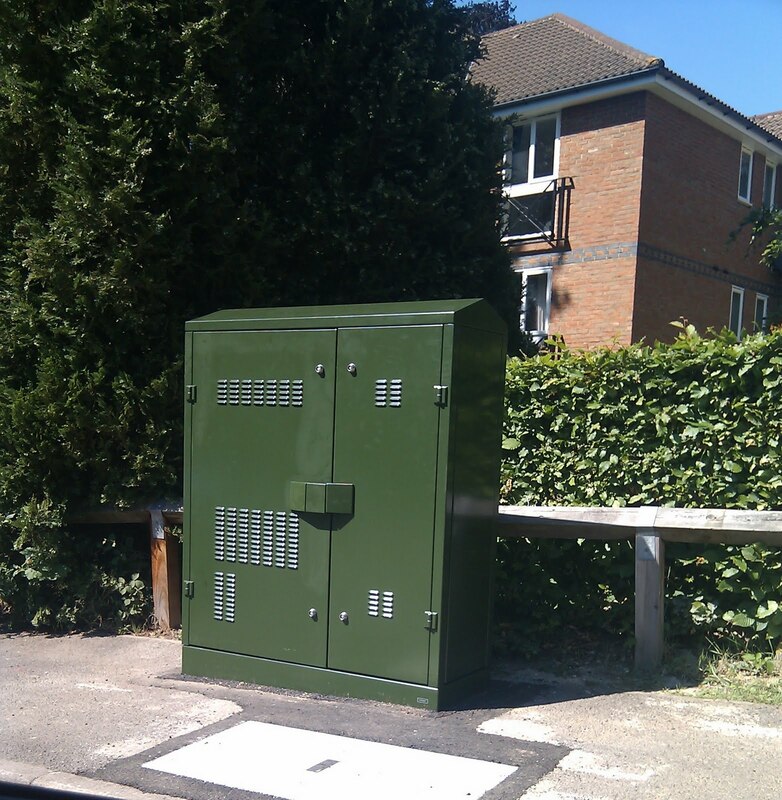 The new broadband is known technically as Fibre To The Curb/Cabinet (FTTC) and means that instead of old copper wires between you and the telephone exchange, BT provides a half measure by bringing fibre optic cables to a green box, a bit closer to your home. You still have copper wire coming into your home, but the length is shorter and so it can support faster speeds. It's like moving your house closer to the main telephone exchange! 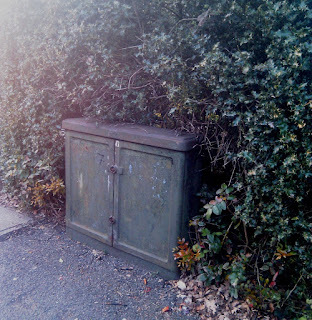 In Crowthorne over the last few weeks, the old green boxes have been replaced by huge new ones. The one above is on the corner of the Sandhurst Road and Byron Drive. It's in a completely new position where previously there was none. I've spotted others on the Crowthorne Road towards Sandhurst, on the corner of the High Street and Wellington Road, outside Co-op on the High Street and at the end of the High Street opposite The Prince. 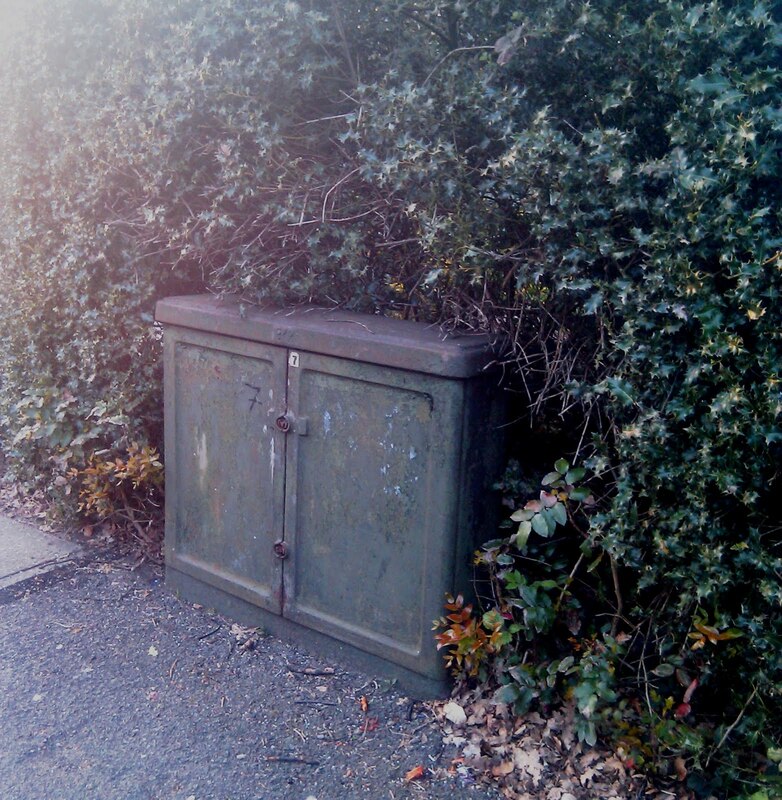 However, I'm disappointed to say that the rather sad looking green cabinet closest to me, is yet to be upgraded. Out of all of them, I'd say it needed the upgrade the most. See what I mean? So when will Crowthone residents be able to order FTTC broadband? Well, the Ready for Service date is still set as "late summer" according to Samknows.com. 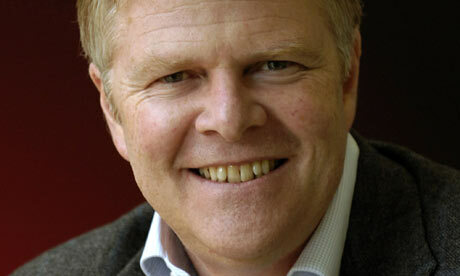 But unless you currently use BT, getting the new service from your existing service provider might be challenging. Most recently Zen Internet have announced they will be starting trials, and Plusnet, AAISP, and Griffin have publicly stated their intentions to support the new service. In my opinion, it's unfortunate that the majority of end-users will still choose to give their hard-earned to BT by default. UPDATE 14/7/10: Having just had a chat with the contractors causing traffic jams working at the end of Pinehill Road, and having a good nose at their efforts, I can confirm there's another DSLAM going in at the junction of Pinehill Road and Sandhurst Road. Cables have been pulled under the road from the Green PCP pictured above to a new DSLAM site on the corner. The DSLAM is not yet installed but the concrete mounting and the cables are in place and currently visible. The end of September is the estimated ready for service date. Let me know if you see any more works going on around Crowthorne. If you've driven on the motorway recently you may well have spent the vast majority of your journey riding the 50mph road train. 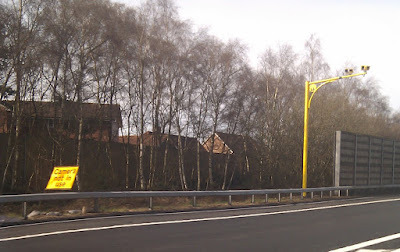 It seems to me that I spend more time being enforced by the yellow cameras than driving along at normal motorway speeds. 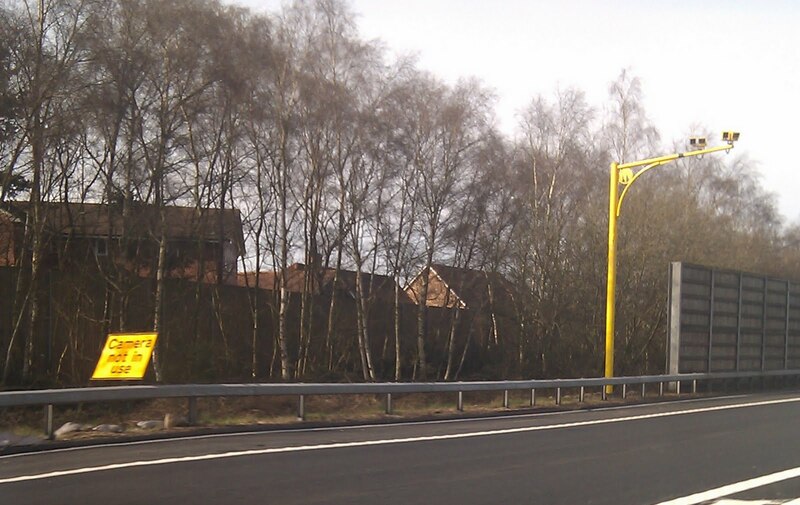 What's more, the highways agency (or whomever runs the nanny-cams) could well save a heap of money by deploying signs next to cameras that tell us the ones that are actually in use! For over the past few months, especially in the south, nanny-cams have started sprouting and staying put, long after the roadworks they were protecting have been mothballed. So why aren't they being taken down? Maybe it's cheaper to leave them be, waiting for the next set of roadworks to spring up, but the cynic in me fears something more sinister like road pricing or a national speed camera network. Both are technically possible because the nanny-cams read number plates of passing cars. At the moment, this is used to work out the speed of said vehicles between 2 points, but it could equally be used to prove you were on that road at a certain time. With the upcoming election, I did a little research to see what the views of Nick, Gordon and Dave were on this subject. Wants a road pricing scheme and would charge road freight per mile on the motorways (keep 'em coming and staying). Says that he won't introduce road pricing in the next parliament. (The camera network won't be complete before then). Doesn't mention road pricing as such although says he wants foreign lorries to pay to use our roads (just introduce enforced refueling at Dover). I'm not even going to consider The Greens, they'd remove what little joy there is left in driving. So maybe it just my paranoia, the nanny state or a general distrust of the government but all 3 major parties (and the hopefuls too) have a published reason to leave these things in situ. Next time you're stuck in the 50mph road train, just remember the fuel economy benefits, it's the only positive I can think of! 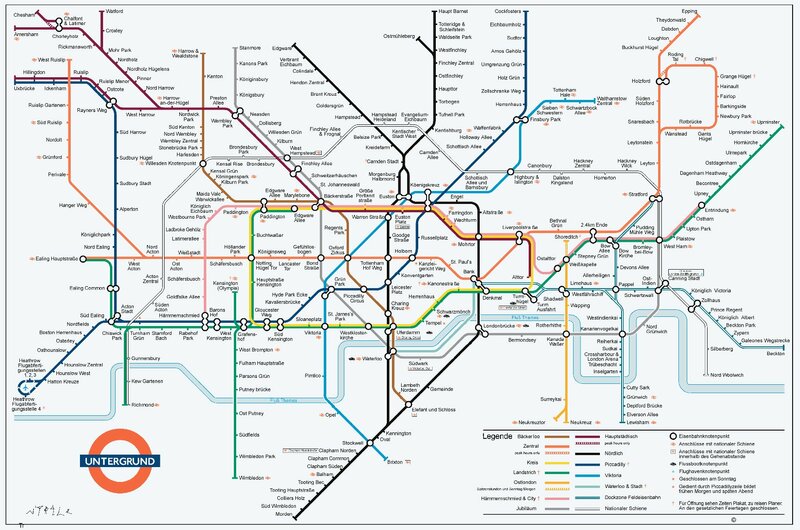 If like me you find amusement in silly, childish names, then you might appreciate this light hearted German translation of the London tube map. It contains such delights as Elefant Und Schloss, Liverpool Strasse and 2.4Km Ende! Actually, the whole site contains various adaptions of the London Tube map, some of them interesting, worth a look.